Alain Saint-Joanis has been creating and manufacturing collections for the table since 1876 in the purest tradition of the French cutlery, adapting their craftsmen’s know-how to new manufacturing techniques. 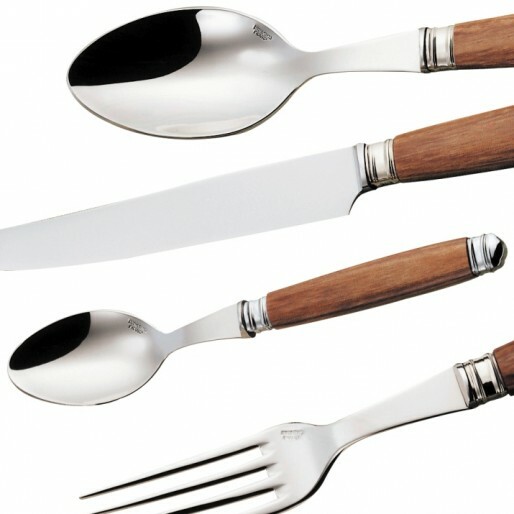 Their top-of-the-range flatware is made with authentic raw materials such as ebony, rosewood, olivewood, boxwood. There is also a resin range too. The Alain Saint-Joanis collections are hand-assembled and hand-polished.